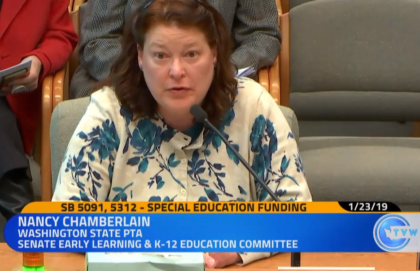 On Wednesday, January 23, 2019, following a work session K-12 and special education funding, WSPTA Advocacy Director Nancy Chamberlain testified on three bills related to making changes to local school district enrichment levies (SB 5313, SB 5316, and SB 5466). 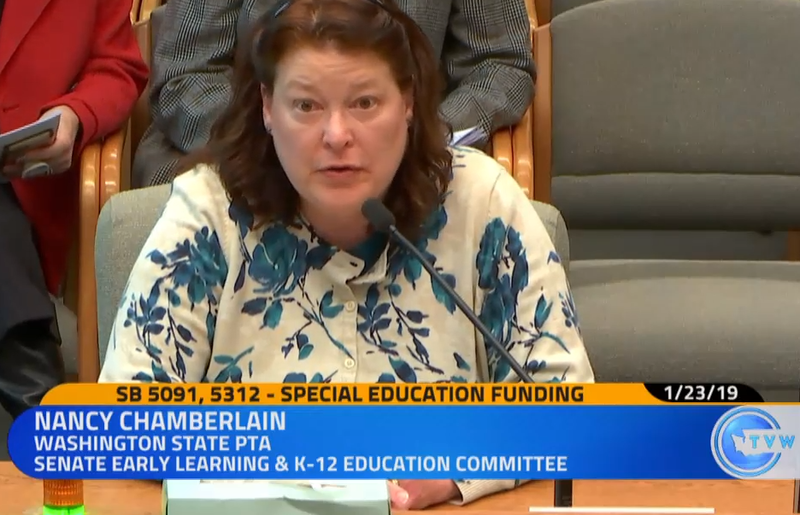 She also testified on two bills making changes to how school districts would be reimbursed for special education services to students (SB 5091 and SB 5312). Testimony was limited to one minute, but you can read Nancy’s full testimony here. 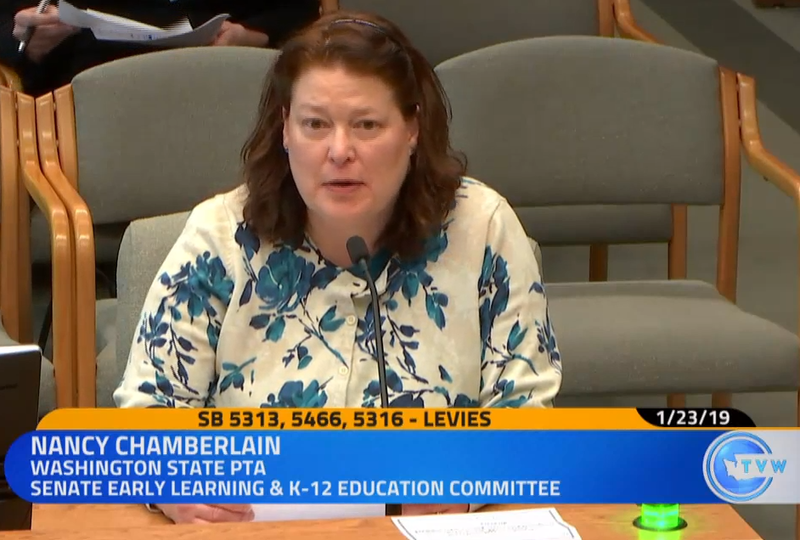 You can view the full work session, informative discussion and testimony here.